The US uses its media to spread outright lies about Russia, the Russian Foreign Ministry said, dismissing a report by the Washington Post about a ‘US diplomat’ 'beaten' by Russian security. In fact, it was a US spy who attacked a Russian police officer. “US State Department and security services have been actively using the Washington Post for disseminating distorted information and outright lies about “harassment” of the US diplomats in Russia,” Russian Foreign Ministry spokeswoman Maria Zakharova said, commenting on a report by the US newspaper on the alleged beating of a US diplomat by Russian security staff. 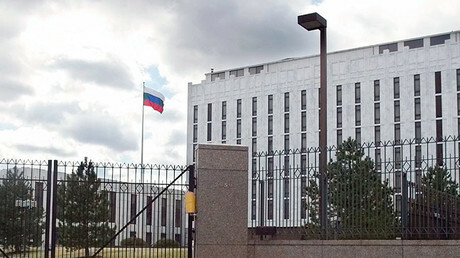 The ministry’s spokeswoman explained that, in reality, it was a US citizen who attacked a Russian security guard stationed outside the US embassy when the officer tried to check his ID. 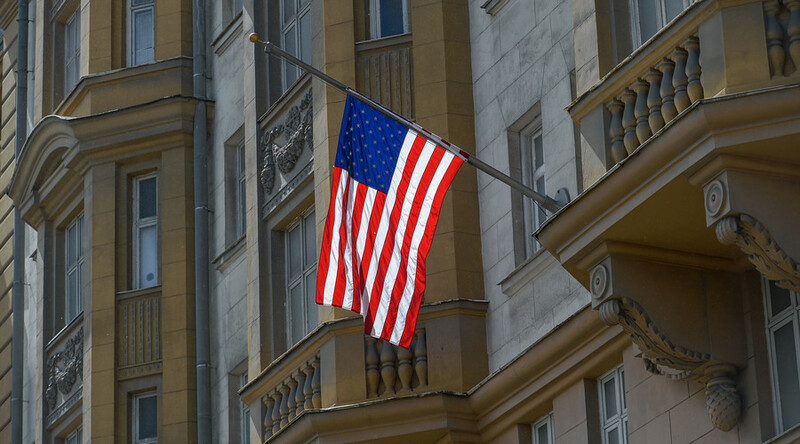 “On the night of June 6, a taxi drove up to the US embassy in Moscow. A man with a hat drawn over his eyes jumped out of the car and rushed to the entrance. A police officer, who was on duty at the entrance, tried to check the ID of the suspicious man to ensure that there is no threat for the embassy,” Zakharova told journalists at a briefing on Thursday. She also emphasized that the attack on the police officer was recorded by the CCTV cameras and presented to the US State Department “long ago,” with Russian Foreign Ministry filing a protest over the incident. It was later revealed that the man who attacked the officer was in fact a CIA agent, who worked in Russia under diplomatic cover and was returning from a mission on the night of the attack, the spokeswoman stressed, adding that the agent apparently tried to escape recognition. She also said that information about the ‘diplomat’s’ allegedly broken shoulder reported by the Washington Post report is also false and was disproved by a video presented by the US side to the Russian ministry. Zakharova also emphasized that it is the US that asked Russia to provide security for its embassy and send police to guard it. “Moreover, they [the US] regularly ask us to enhance [the embassy’s] security,” she added. The Washington Post report came just a day after Russian Foreign Ministry slammed another article by the US newspaper that claimed that “Russia is harassing US diplomats all over Europe.” It’s the Russian diplomats who are being pressured, not the other way around, the Foreign Ministry said, blasting the article.